When it comes time to make a decision on Accounts Payable Automation there are a few things you will need to help make the decision. The difficult part of formula is knowing your current cost. There are calculator to find current cost in both my books, The Argument to Automate and The 8 Pitfalls. Your service provider can tell you your automated cost. The point here, however, is you must have a positive return. Any technology you buy has to have a positive return. 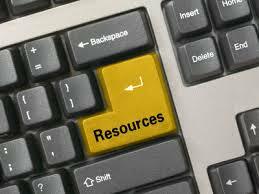 The second resource you need is a time calculator. I have created a simple one if you want it send me an email from the contact form below, I will email it to you. As a resource, this last one refers more to a very formal plan that deals with people who are being freed up and tasks that are more important to the company. Where this is not a resource is if the plan is loosely constructed in someone’s head. The plan has to be a physical plan, that is documented so the company will know that with Accounts Payable Automation their people are going to be used in more productive ways. After all isn’t the greatest resource a company has is its people?